Howard James Squires is the son of Gordon Justus Squires and Stella Marie Vrzal. 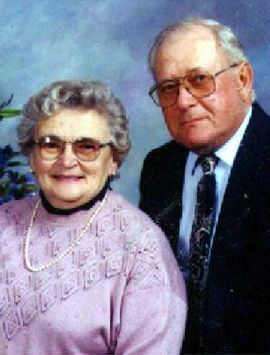 Howard James Squires married Joyce H. Thielen on 30 May 1952. Howard James Squires and Joyce H. Thielen were divorced on 8 September 1976 at Hennepin Co., Minnesota. Howard James Squires married Suzanne M. Winkler on 20 August 1977 at Hennepin Co., Minnesota. Beverly Elaine Squires was born on 16 June 1932 at Le Sueur Co., Minnesota.1 She was the daughter of Gordon Justus Squires and Stella Marie Vrzal. Beverly Elaine Squires married Jerome John Stumpf, son of Ferd Stumpf and Alma Dehler, on 21 June 1950 at St. Joseph's Catholic Church, Pierz, Morrison Co., Minnesota.2,3 Beverly Elaine Squires was buried in November 2010 at St. Josephs Catholic Cemetery, Pierz, Morrison Co., Minnesota; Plot: Section 3, Row 13. She died on 26 November 2010 at Pierz, Morrison Co., Minnesota, at age 78. Beverly Elaine Squires was a Catholic. She graduated in 1950 at Little Falls High School, Little Falls, Morrison Co., Minnesota.3 Her married name was Stumpf. She lived in 2000 at Pierz, Morrison Co., Minnesota. Her Social Security Number was 472-30-9119, SSDI list born 16Jun1932 and died 26Nov2010. [S559] Beverly Elaine Squires entry, birth, LeSueur County Courthouse, Le Center, Le Sueur Co., Minnesota. Her married name was Stocco. The cause of death was cancer. Her Social Security Number was 468-32-5210 issued in Minnesota before 1951. Children of Jeanne Marie Squires and Sam Armondo Stocco Jr.
[S560] Jeanne Marie Squires entry, birth, LeSueur County Courthouse, Le Center, Le Sueur Co., Minnesota. 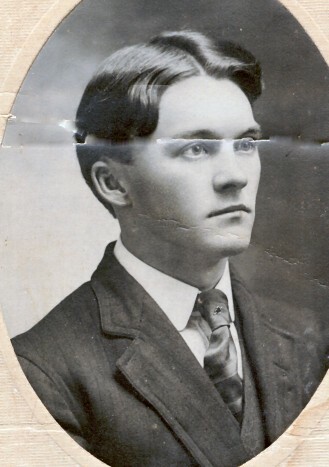 Robert Gordon Squires is the son of Gordon Justus Squires and Stella Marie Vrzal. Robert Gordon Squires married Anita Rae Nicely on 19 July 1958 at Hennepin Co., Minnesota. Joyce H. Thielen married Howard James Squires, son of Gordon Justus Squires and Stella Marie Vrzal, on 30 May 1952. Joyce H. Thielen and Howard James Squires were divorced on 8 September 1976 at Hennepin Co., Minnesota. Her married name was Squires. SOURCE: Stella Squires letter 5/1991. Civil Occupation: Skilled occupations in manufacture of electrical machinery and accessories, n.e.c. Jerome J. Stumpf, 85-year-old resident of Pierz, MN passed away Wednesday, May 29, 2013 at the Pierz Villa. Mass of Christian Burial will be held at 10:30 A.M. on Monday, June 3, 2013 at St. Joseph's Catholic Church in Pierz, MN with Father Kenneth Popp officiating. Burial will take place at St. Joseph's Parish Cemetery in Pierz. Visitation will be from 4 to 8 P.M. on Sunday and one hour prior to the service on Monday all at St. Joseph's Catholic Church in Pierz, MN. Parish Prayers at 7 P.M. Followed by Knights of Columbus office of the dead at 7:30 PM on Sunday at the church. Military Honors will be conducted by the Pierz American Legion Post #341 and the Little Falls VFW Post #1112. Jerome J. Stumpf was born on November 26, 1927 in Agram Township, Morrison County, Minnesota to the late Fred and Alma (Dehler) Stumpf. He joined the US Army in 1946 during the end of World War II and served as an Army Medical Technician stationed in Korea. He married Beverly Squires on June 21, 1950 at St. Joseph's Catholic Church in Pierz, MN where they lived and raised their eleven children. He owned and operated Jerry's Service in Genola, MN for 25 years until he retired. Jerome was very active in his community. He served on the Genola City Council for a number of years, and he was a member of the Pierz Lions Club, Little Falls VFW, Pierz American Legion, Knights of Columbus, and Catholic Aid Society. Jerome received the Helen Keller Award for outstanding community service from The Pierz Lions Club in 2012. He enjoyed fishing, hunting, snowmobiling, camping and playing cards with friends. In his later years, he enjoyed attending auctions where he purchased antique engines to restore and display. Jerome loved spending time with his 20 grandchildren and 12 great-grandchildren; they will have fond memories of his teasing. Jerome will be dearly missed by his children: Kathy Prescott of Woodbridge, VA; Barb (Ronald) Watercott of Pierz, MN; Carol (Steve) Archer of Little Falls MN; Robert (Virginia) Stumpf of Little Falls, MN; Marilyn (Tim) Bayerl of Alexandria, MN; Richard (Patricia) Stumpf of Custer, SD; Julie Kalahar of St. Cloud, MN; Jean Stumpf of Golden Valley, MN; Patricia (Paul) Schlauderaff of St. Joseph, MN; Thomas (Dawn) Stumpf of Pierz, MN; and Teri (Dave) Ahlm of Golden Valley, MN; his sister Olivia Maciej and brothers Leo (Phyllis), Wilbert (Mary), and Melvin (MaryAnn); brother-in-law Richard Long; and dear friend and brother-in-law Sam (JoAnn) Stocco. Jerome was preceded in death by his wife of 60 years, Beverly, on November 26, 2010. Also preceded in death by his parents, Fred and Alma; his sisters Mildred Bieniek and MaryAnn Long; and his infant grandson, Jason Stumpf. [S2328] Jerome J. Stumpf (1927 - 2013), St. Cloud Times Newspaper, http://www.legacy.com/obituaries/sctimes/obituary.aspx?n=jerome-j-stumpf&pid=165064003, 31 may 2013. Hereinafter cited as St. Cloud Times Newspaper. Sam Armondo Stocco Jr. married Jeanne Marie Squires, daughter of Gordon Justus Squires and Stella Marie Vrzal, on 21 November 1953. Anita Rae Nicely married Robert Gordon Squires, son of Gordon Justus Squires and Stella Marie Vrzal, on 19 July 1958 at Hennepin Co., Minnesota. 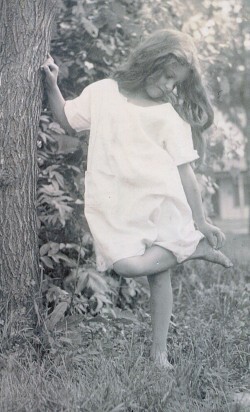 Caroline Ann Senescal was born circa 1943. She married Daniel Joseph Squires, son of Gordon Justus Squires and Stella Marie Vrzal, on 11 August 1961 at Hennepin Co., Minnesota. Caroline Ann Senescal and Daniel Joseph Squires were divorced on 29 January 1973 at Hennepin Co., Minnesota. [S1631] Daniel Patrick Squires, death 1990-MN-004098 (09 Mar 1990), unknown repository, unknown repository address. Hereinafter cited as Death Certificate - Daniel Squires. 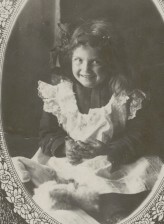 Harriet Mae Kaisersatt was born on 31 October 1906 at Veseli, Rice Co., Minnesota.3 She was the daughter of Frank Michael Kaisersatt and Anna Eleanor Nestaval. Harriet Mae Kaisersatt died on 13 November 1998 at Faribault, Rice Co., Minnesota, at age 92. She was buried in November 1998 at Maple Lawn Cemetery, Faribault, Rice Co., Minnesota; section M-5. She graduated in 1924 at Faribault High School, Faribault, Rice Co., Minnesota. She lived in 1990 at Pleasant Manor Nursing Home, Faribault, Rice Co., Minnesota. Worked in Minneapolis in 1929. The above book, lists Harriet born 31 Oct 1906. [S564] Franklyn Curtiss-Wedge, History of Rice & Steele Counties Vol II, 1910, pg 1343 (Chicago, Illinois: H.C. Cooper, 1910). Hereinafter cited as History of Rice & Steele Counties. [S563] Harriet Mae Kaisersatt entry, birth, Rice County Courthouse, Faribault, Rice Co., Minnesota. Joseph William Vach was a Painter-Decorator. Joe Vach completed a World War I Draft Registration Card at the local board in Le Sueur Co., Minnesota.2 His Social Security Number was 472-20-4834 issued in Minnesota, Social Security Death Index (b- 28Feb1886 d- Aug1969). Montgomery Messenger (MN Newspaper) 28Aug1969. The funeral of Joseph W. Vach, former Montgomery resident, was held at 10 am Monday August 25 at Church of the Most Holy Redeemer in Montgomery. The Reverend Bernard Blaeser was officiating. Internment was at Calvary Cemetery this town. The pall-bearers were: William Chard, Robert Chard, LeRoy Chard, Myron Moly, Harry Vrzal and Peter Hruska. Joseph W. Vach, son of the late James and Catherine Nestaval Vach, was born in Montgomery in February 23, 1886. The deceased attended elementary school in Montgomery. In April of 1914 he married Elizabeth in Montgomery and following the marriage lived in Montgomery till 1932 when he moved to St. Paul. Mr. Vach was a painter and decorator by trade. The deceased was a patient at Maplewood Manor Nursing home in St. Paul for the last 3 years where he passed away on Friday, August 22, being 83 years old. He was survived by one daughter Mrs. Theodore (Joyce) Worm, of BelleBlane (sic), 4 grandchildren and 5 great-grandchildren. Was preceded in death by parents, his wife died October 12, 1956, 1 sister and brother that died in infancy. Census 1920 Montgomery, Le Sueur Co., Minnesota, E.D. 75, sheet 3. [S565] Unknown article title, Obit notice, unknown location. Source Citation: Registration Location: Le Sueur County, Minnesota; Roll: 1675516; Draft Board: 0. Ancestry.com. World War I Draft Registration Cards, 1917-1918 database on-line. Provo, UT, USA: Ancestry.com Operations Inc, 2005.. Hereinafter cited as "World War I Registration Card." [S566] Interview with Helen M. (Nestaval) Kendall (Minnesota), by Steven Harn Redman. Steven Harn Redman (2633 N. 1600 E., Layton, Davis Co., UT). [S1639] Elizabeth F. Creech, death 1957-MN-009607 (30 Oct 1957), unknown repository, unknown repository address. Hereinafter cited as Death Certificate - Elizabeth Vach. The 1920 Census taken on 11Jan1920, lists Joyce age as 4 6/12. Her married name was Worm. Her married name was Chard. There is a Joyce Worm in SSDI , born 10Jul1914, died 05Apr1993, residence had been Belle Plaine, Scott Co., MN. She lived at Belle Plaine, Scott Co., Minnesota. Ancestry.com. Minnesota Death Index, 1908-2002 (database on-line). Provo,. Hereinafter cited as Minnesota Death Index, 1908-2002. Minnesota Center for Health Statistics, Office of the State Registrar. Minnesota Marriage Index, 1958-1995. — Irene P. Vrzal, 89, long time Montgomery resident, passed away Wednesday, May 12, 2010 at The Villages in Lonsdale. Irene was born August 30, 1920 to Charles and Ida Fehlandt in Jordan, MN. She attended school in Jordan and furthered her education in Mankato, MN. She was united in marriage to Harry S. Vrzal of Montgomery, on June 8, 1943 in North Branch. Prior to her marriage, she worked as a waitress in Jordan and was also a meter reader. After her marriage to Harry, she worked at Ruhlands Red Owl and raised six children. Irene and Harry owned and operated the Brass Rail in Montgomery for over 30 years. After selling the Brass Rail in 1974, Irene was busy working for Minnegasco, Holy Redeemer Parish, was a volunteer driver for Meals on Wheels, and also helped at the Peace Center in New Prague. Irene was a member of Holy Redeemer Catholic Church in Montgomery, where she was a communion distributor, choir member and also did alter care. She was very active in the Council of Catholic Women (CCW), Knights of Columbus Auxiliary, Mission Sewing, Red Hat Society, and many other things that kept her on the go. Irene loved spending time with family and friends, which is very evident in her involvement in her card clubs, bingo parties, Senior Citizens, and so many other activities. Her hobbies included, fishing, sewing, crocheting, snow blowing, gardening, canning, and riding on her lawn mower. Nothing made her happier than being surrounded by her children, grandchildren and great grandchildren who referred to her as Grandma Moosh. Irene touched many lives with her warm smile, reassuring hugs, and her contagious laughter. Irene is survived by her children; one son Steve (Chrys) Vrzal, Montgomery, five daughters, Mary (Darrel) Kotek, Montgomery, Phyllis Vrzal, Montgomery, Barb (Dale) Connolly, Mankato, Sue (Jake) Lawson, Montgomery, Vickie (Barry) Eichman, Eden Prairie; 18 grandchildren, 24 great grandchildren, and many nieces and nephews. Preceding her in death was her husband Harry, her parents, two sisters, a brother, and a great grandson. Funeral Services will be held at the Holy Redeemer Church in Montgomery on Tuesday, May 18, 2010, at 10:30 AM, with Rev. David Barrett officiating. Interment will be at Calvary Cemetery in Montgomery. Visitation will be held at Holy Redeemer Church on Monday, May 17th from 4:00 – 8:00 PM and also one hour prior to Funeral Services. Irene’s loving spirit will be greatly missed by her family. Irene P. Fehlandt was a Farmer. Her married name was Vrzal. Irene P. Fehlandt was a Catholic. She lived in 1990 at 110 4th St., NW, Montgomery, Le Sueur Co., Minnesota. Her Social Security Number was 471-12-0669 issued in Minnesota, SSDI lists born 30Aug1920 and died 12May2010. Edward was enumerated with parents on 28Jun1900. Edd Havel as a boarder with C. Wakefield, enumerated on 27Jun1900. Occupation in 1920 Census is tough to read, Limekeeper smelter? He lived in 1925 at Tacoma, Pierce Co., Washington. Helen Detwiler letter dated 4/1925. His Social Security Number was 536-09-4793 issued in Washington before 1951. [S567] Edward Gregory Havel, unknown file number, Social Security Death Index (b- 31Jan1882 d- Feb1964), unknown series (n.p. : n.pub.). Helen Alberta Houser was born on 15 February 1897 at Washington.2 She was the daughter of Albert Carl Houser and Catherine A. Sklenar. Helen Alberta Houser married John Henry (Harry) Detwiler, son of John Henry Detwiler and Ellendora (? ), circa August 1923. Helen Alberta Houser died on 17 August 1930 at Providence Hospital, Seattle, King Co., Washington, at age 33.2 She was buried at Calvary Cemetery, Tacoma, Pierce Co., Washington. Helen Alberta Houser was a bookkeeper/housewife. Her married name was Detwiler. 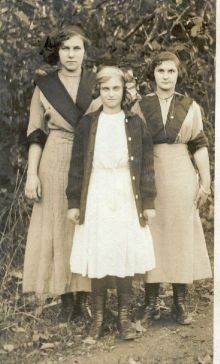 She lived in August 1925 at Eatonville, Pierce Co., Washington. She lived in August 1930 at 121 River St., Seattle, King Co., Washington. The cause of death was Lobar Pneumonia, contributing factor was 7-months pregnant. Census 1900 Pe Ell, Lewis Co., Washington, E.D. 126, sheet 4. [S568] Letter from Helen Alberta Houser (unknown author address) to Marie Barbara Sklenar, Apr 1925; Steven Harn Redman (2633 N. 1600 E., Layton, Davis Co., UT). [S569] Helen Alberta Houser, death 2535, unknown repository, unknown repository address. Beatrice Katherine Houser was born circa November 1898 at Washington; CENSUS: 1900 WA, Lewis Co., Peel Pct., E.D. 126, sheet 4. She was the daughter of Albert Carl Houser and Catherine A. Sklenar. Beatrice Katherine Houser married Dennis Coleman on 4 September 1917 at Immaculate Conception Catholic Church, Seattle, King Co., Washington.2 Beatrice Katherine Houser married Leonard St. Jacque. Beatrice Katherine Houser died in August 1962 at Washington. Rosary for Mrs. Beatrice K. Culbertson, 62, of 413 S. Brandon St., a former police matrol (sic. ), will be said at 7:30 o'clock tomorrow evening in the Georgetown Funeral Home. Requiem Mass will be said at 9 o'clock Friday morning in St. George's Churck. Burial will be in Calvary. She died Monday. Mrs. Culbertson was born in Dryad, Lewis County. She came here 45 years ago, and left 14 year (sic.) ago to become a police matron in Coos Bay, Ore. She reutrned here in 1960. Mrs. Culbertson was a member of St. George's Church. Surviving are her husband, Alexander, a daughter, Mrs. Patricia Munday, Seattle; a son, Corp. Richard L. St. Jacue, Bremerton; a brother Albert Houser, Seattle, and three grandchildren..
[S571] Letter from Barbara Jean (Detwiler) Weaver (unknown author address) to Steven Harn Redman, May 1988; Steven Harn Redman (2633 N. 1600 E., Layton, Davis Co., UT). Original data: Washington State Archives. Olympia, Washington: Washington State Archives., unknown repository, unknown repository address. Hereinafter cited as Washington, Marriage Records. [S570] Letter from Helen Alberta Houser (unknown author address) to Marie Barbara Sklenar, Apr 1925; Steven Harn Redman (2633 N. 1600 E., Layton, Davis Co., UT). Albert John Houser was a Laborer/Smelter. He lived in August 1925 at Eatonville, Pierce Co., Washington. He lived in 1927 at Eatonville, Pierce Co., Washington. He lived in 1929 at 1127 N. Oakes St., Tacoma, Pierce Co., WA. He lived in January 1959 at Seattle, King Co., Washington.6 Barbara Weaver says name is HOUSER, not HAUSER. Census 1920 Tacoma, Pierce Co., Washington, E.D. 356, sheet 1. [S572] Albert John Houser, birth (unknown file date), Family History Library:, 35 North West Temple St., Salt Lake City, Salt Lake Co., Utah. John Henry Detwiler listed in World War I Draft Registration Cards in Whatcom Co., Washington. It t listed his birth as 15 Feb 1890 in Shell Lake, Wisconsin, self-employed doing saw-mill work, with blue eyes and brown hair. Ancestry.com. World War I Selective Service System Draft Registration Cards, 1917-18 (database online) Provo, UT: Ancestry.com, 2002. National Archives and Records Administration. World War I Selective Service System Draft Registration Cards, 1917-1918. M1509, 4,277 rolls. Washington, D.C.: National Archives and Records Administration. SOURCE: Helen Detwiler letter April 1925. [S2260] Find a Grave Inc., Find a Grave, database and images (: accessed Mar 2014), John H. Detwiler (1890-1965) gravestone photograph, memorial no. 5227377, Meridian Cemetery, Kent, King Co., Washington, photograph © Leslie MITCHELL Smith, 2014. Burial: Meridian Cemetery, Kent, King County, Washington. [S1676] Washington Death Index 1940-1996, online www.ancestry.com, 016349. Hereinafter cited as Washington Death Index 1940-1996. Nettie Irene Ballou was born on 4 November 1905 at Buckley, Pierce Co., Washington.3,4 She was the daughter of Ralph Danna Ballou and Rebecca J. Mustard.5 Nettie Irene Ballou married Albert John Houser, son of Albert Carl Houser and Catherine A. Sklenar, on 7 January 1924 at Seattle, King Co., Washington.6 Nettie Irene Ballou died on 7 February 1973 at Tacoma, Pierce Co., Washington, at age 67.4 She was buried at Calvary Cemetery, Tacoma, Pierce Co., Washington. Nettie Irene Ballou was a Housewife. Her married name was Houser. Her Social Security Number was 535-34-8644, issued in Washington in 1954, lists residence as Tacoma. [S573] Nettie Irene Ballou, birth (unknown file date), Family History Library:, 35 North West Temple St., Salt Lake City, Salt Lake Co., Utah. [S574] Nettie Irene Ballou cemetery marker; unknown reader. Barbara Jean Detwiler married (?) Kent. Barbara Jean Detwiler was born on 20 July 1925 at Seattle, King Co., Washington.2 She married Fred Weaver, son of Fred Weaver and Mattie Helms, abt 19 Nov 1945/1946 at Seattle, King Co., Washington.2 Barbara Jean Detwiler was the daughter of John Henry (Harry) Detwiler and Helen Alberta Houser. [S575] Letter from Barbara Jean (Detwiler) Weaver (unknown author address) to Steven Harn Redman, May 1988; Steven Harn Redman (2633 N. 1600 E., Layton, Davis Co., UT). [S2437] Allen Jon "Dan" Weaver, The San Diego Union Tribune, https://www.legacy.com/obituaries/sandiegouniontribune/obituary.aspx?page=lifestory&pid=86885661, 21 mar 2007, n/a. Hereinafter cited as The San Diego Union Tribune. SSN of 085-14-6567 issued in NY, appears to be the same person. Usual residence according to SSN, was Talmage, CA. [S576] Fred Weaver, unknown file number, Social Security Death Index (b- 3Dec1908 d- Feb1982), unknown series (n.p. : n.pub.). Fred Weaver married Mattie Helms. Mattie Helms married Fred Weaver. Her married name was Weaver. Barbara Weaver letter 5/1988. Allen “Dan” Jon Weaver, 60, of El Cajon died Feb. 25. He was born in Seattle and was retired from the Navy. Survivors include his wife, Christine; daughter, Michelle Weaver of Arizona; stepdaughters, Sandra Johnson and Heather Shaffer; stepsons, Rusty Wynn and David Wynn; mother, Barbara Kent of Washington state; and brothers, Earl Weaver, Mike Weaver, and Bill Weaver, all of Washington state. Services: 11 a.m. Friday, with potluck to follow, Tunaman's Memorial, Shelter Island. Scattering of ashes: at sea. 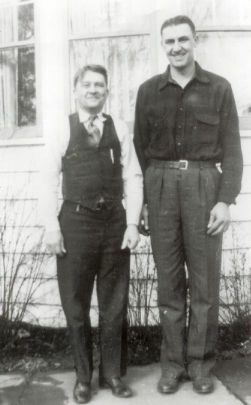 William Howard Weaver married Jackie Hoppes. 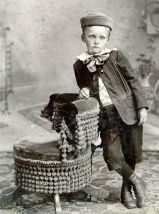 William Howard Weaver is the son of Fred Weaver and Barbara Jean Detwiler.